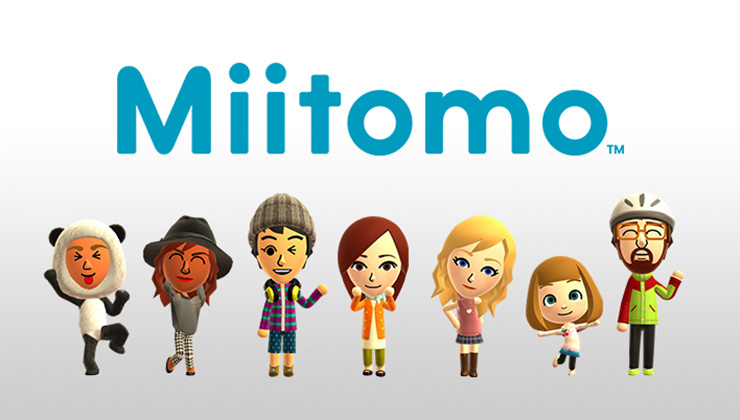 When Fire Emblem Heroes launched last week, some news also came out about an update that would be coming to Nintendo's Mii-centric social app, Miitomo. Though no specific time was given for when to expect it, we were told it would be coming "soon", and that evidently meant today. 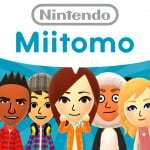 A "Miifoto Log" feature, where you'll be able to post Miifotos or images from your device with comments. The ability to attach images to your answers. The addition of a customizable Bio in your Profile. When sending a friend request, you'll be able to attach a message. Wallpaper or flooring will be available for use as backgrounds in Miifotos. You'll be able to select the outfit your Mii character wears when delivering a message. Daily items will not include selectable color variations. What do you think? Are you glad to see these changes? What else would you like to see in a future update? Drop us a comment in the section below. I dislike Miitomo, but as long as it helps Nintendo. There, was that nice enough? It would take a lot to get me to download that again! Can they update My Nintendo Rewards instead please? Downloaded and installed the update but it's down as "The app is currently undergoing maintenance." I quite like Miitomo. I hope the outfits can be brought across to the Switch. "What do you think? Are you glad to see these changes?" These Miitomo "updates" are like some sort of delusion. Reminds me of horror movies, the kind where you have a crazy person living with a dead person pretending he/she is alive. Every update for this disgrace of a Nintendo product is another moment of "Oh no.. hes not dead.. look.. he moves his arm.. yes, i helped but its moving.. its alive.. dont call the cops.. its all fine"
PUT THE STREETPASS GAMES IN IT. Love this game, can't believe how excited I am for these long waited for updates. Can't wait to log in again and see! Meh. It was interesting at first but there's nothing that will make me start using it again any time soon. I think my Mii in Miitomo moved to Playstation Home. Miitomo is as hip now as Myspace, minstrel shows, and the rotary phone. Meh, only using this for the My Nintendo points. Would probably use it more if I had more (read: any) friends with Nintendo consoles, though. Nintendo: Hey Guys here's a new Miitomo update. I get that some people don't enjoy what this app offers. And probably many expected it to be more game like. However, I think it is an excellent little app. I don't use it daily anymore but I still try to collect new outfits and room decorations and frequently make use of Miifoto and messages. Yeah... I... It's kind of okay, but I don't like the new interface with the icons. It looks cluttered. It's alright for what it is, but the problem is that that ain't much really. The rewards are... not applicable to me most of the time; I already have most of the discounted games. Plus you'd think the FE platinum points would be redeemed for the FE rewards. You'd be wrong, though. All your universal points will be used before your specific game points because they are always redeemed in order of what you earned first. Those 1200 FE points are going to sit there for a while yet despite me redeeming as much as I can for the game. PLUS all game specific platinum points are only good for rewards for that game or any reward that isn't attached to a mobile game. Themes and discounts on console software are okay, but you can't use FE points to redeem Mario Run rewards, etc. I guess it sort of makes sense, but I can envisage having a load of FE points sitting unused when Mario Run comes out on Android and I'll have used my universal points on FE rewards. Just an extra irritation to add to the overall disappointment. Please let the Switch launch be the salvation of MyNintendo. @PtM Thanks for that tip! That's much better, though I need to keep an eye on which points are expiring. A Foto Central is a great idea too. Miifoto is one of the best features. I can't get it to load at all. It always boots back to the home screen. Dunno what's wrong with it.